This mod adds Kirby to the game! Kirby is a friendly mob that loves food. There are currently 9 Kirbys in the game. There’s Pink Kirby, Blue Kirby, Green Kirby, Red Kirby, Yellow Kirby, Purple Kirby, Brown Kirby, Orange Kirby, and White Kirby. This mod also adds a new food item called Maximum Tomato. Every Kirby drops 0-2 items. Every Kirby also has a spawn egg. Drag all the class files into your minecraft.jar. Put the images in the mob folder inside the mob folder in the minecraft.jar. 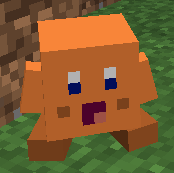 Put the images in the images folder inside the textures > images folder in the minecraft.jar. Delete META-INF inside the minecraft.jar.